HELATIN® Phosphorus Potassium 50ml; microfertilizer; Growth stimulant; Trace elements; Chelate fertilizer; Water-soluble fertilizer. 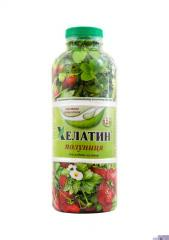 HELATIN® Strawberry 1,2l; microfertilizer; Growth stimulant; Trace elements; Chelate fertilizer; Water-soluble fertilizer; Fertilizer for strawberries. HELATIN® Potassium 50ml; microfertilizer; Trace elements; Chelate fertilizer; Water-soluble fertilizer; Mono fertilizer. HELATIN® - leguminous 10l; Multicomponent microfertilizer; Growth stimulant; Trace elements; Chelate fertilizer; Water-soluble fertilizer; Complex fertilizer. HELATIN ® ml Iron 50; Microfertilizer; Growth factor; Minerals. HELATIN® MonoBor 1,2l; microfertilizer; Growth stimulant; Trace elements; Chelate fertilizer; Water-soluble fertilizer; Fertilizer for foliar feeding. 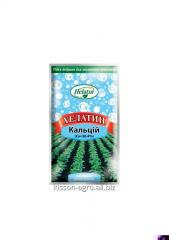 HELATIN ® Lawn of 50 ml; Growth factor; Minerals; Helatny fertilizer; Water-soluble fertilizer. HELATIN® Phosphorus Potassium 1,2l; microfertilizer; Growth stimulant; Trace elements; Chelate fertilizer; Water-soluble fertilizer; Fertilizer for root and foliar nutrition. 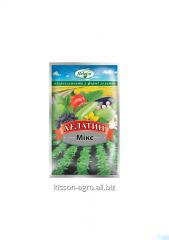 HELATIN® MonoBor 10l; microfertilizer; Trace elements; Chelate fertilizer; Mono fertilizer. HELATIN® Calcium 1,2l; microfertilizer; Growth stimulant; Trace elements; Chelate fertilizer; Water-soluble fertilizer; Fertilizer for foliar feeding. HELATIN®- Grain 10l; Multicomponent microfertilizer; Growth stimulant; Trace elements; Chelate fertilizer; Water-soluble fertilizer; Complex fertilizer. HELATIN ® Bohr plus 10 l; Microfertilizer; Growth factor; Minerals; Helatny fertilizer; Water-soluble fertilizer; Fertilizer with the high content of pine forest; Mono fertilizer.